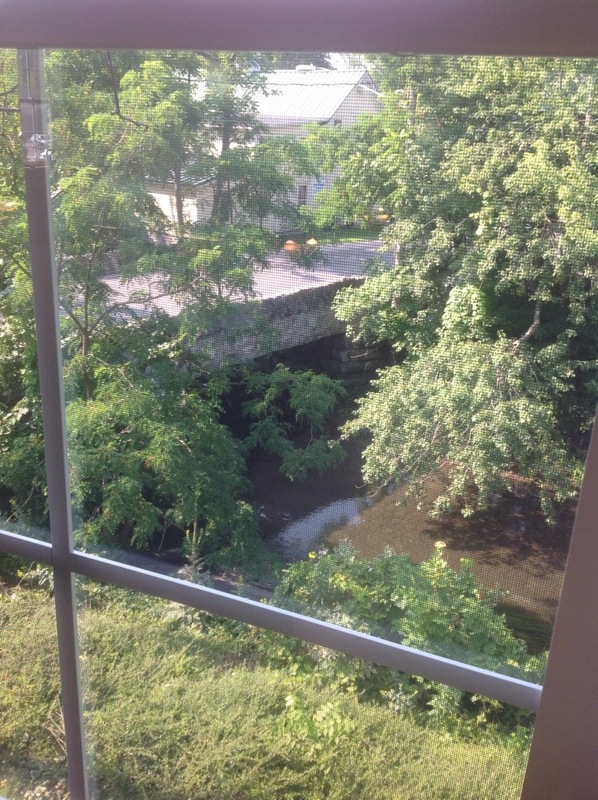 Enjoying a view of Skaneateles Creek over a bagel and cup of coffee at Creekside, my local coffee place/bookstore. Reading. Lovely.